Christmas services this past December never sounded better at Second Baptist Church’s 400,000-square-foot West Campus in Houston thanks to a recent audio system upgrade to two DiGiCo SD5 consoles. Installed by local HOW systems integrator Covenant Communications, the new consoles replace a pair of legacy DiGiCo D5 Live FOH and monitor desks for the church’s 5,000-seat “in-the-round” worship center, which also televises its lively services. 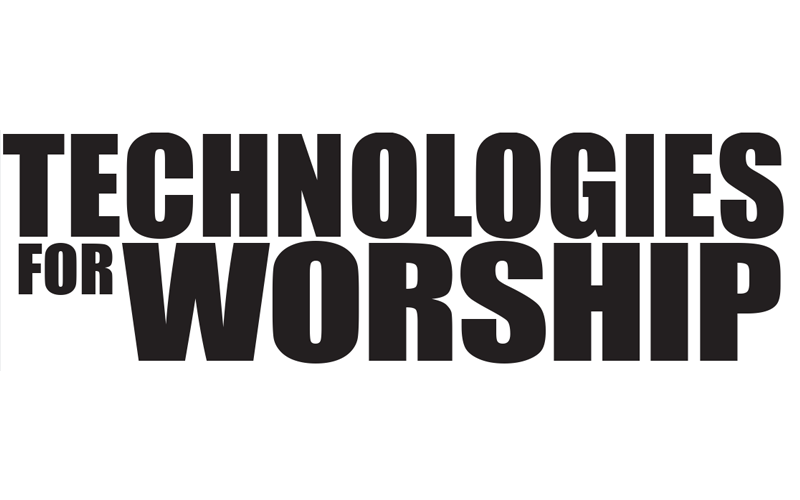 Second Baptist Global Tech Director Mark Sepulveda notes that after seven years of duty, the time had come to retire the previous consoles and make an upgrade. “The SD5s were chosen based on what our team thought were the best overall live audio consoles on the market that continued to give us superior audio with the DiGiCo brand, continued ease of hands-on functionality, easy firmware updates that will continue to add new features in the coming years, and the ability of the SD software to integrate with Waves SoundGrid for a seamless plug-in experience,” he says. 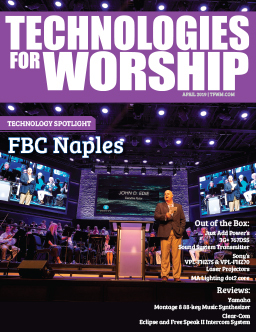 Covenant Communications has largely handled Second Baptist’s audio/video/lighting needs for the past four years, and the eventual upgrade choice came after considering various options. “I put a few things in front of Mark,” notes Joe Smart, Covenant’s sales manager. 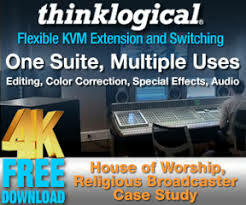 “Our role is to be objective; it’s not an emotional decision, but one to find the best solutions for them.” The SD5’s flexibility was perfectly suited for the church’s typical need for a quick “flip around to different worship styles” – from traditional to high-energy contemporary sound – and “recording audio for future TV broadcast,” notes Smart. 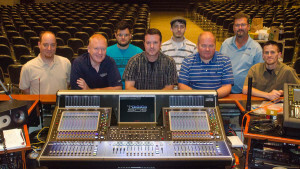 Sepulveda notes that the DiGiCo consoles play a major role in the church services being broadcast. “The broadcast engineer takes direct feeds via tracking of the overall mix as well as 12-16 of the individual ‘money’ and room mic channels for the broadcast mix that is edited and mixed at the Main Campus’ (Woodway) broadcast studio,” he explains. According to Wells, several particular features on the SD5 console help his team members do their jobs better. “At FOH, the addition of Waves integration is huge, of course, and also being able to set up the console screens in previously unimaginable ways – such as combining input and output channels on one bank of faders and using multi channels and set spills to condense the channel layout – has been very useful in making things even easier to get to at any critical moment,” he says. In addition, for monitors, “obviously the 56 mix buss count is a major upgrade,” adds Wells, also citing the second function button assisting in pre/post selection, layers for the output channels, and being able to assign talkback to any aux at any time. Both positions are also greatly impressed with the flexibility of the 40 macro buttons and virtually unlimited flexibility of the snapshot creation. That the SD5 incorporates FPGA technology (the reprogrammable semiconductor devices are based around a matrix of configurable logic blocks connected through programmable interconnects) allows for easy upgradability via download from DiGiCo, he also points out. Second Baptist employs as many as 30 full-time AV staff, and 70 total when combining the volunteer force across all of its five campuses, which collectively comprise the US’ largest Baptist congregation and second largest house(s) of worship overall. For more details on Second Baptist’s West Campus, visit www.second.org/west. Covenant Communications can also be found online at www.covenantcommunications.com.